Fatoumata Diawarra, will perform at Le National on April the 2nd. The multitalented artist who has a well established international career, will present her last album Fenfo, co-produced by –M- (Matthieu Chedid) and Fatoumata Diawarra. A new treasure from this universal folk, as sensual as committed, where the musical wassoulou tradition is combined with poetry to jazz, blues, pop and to some subtil electronic notes. Her participation in the Lamomali project alongside Matthieu Chedid, toumani and Sidiki Diabaté has brilliantly enlightened her career. 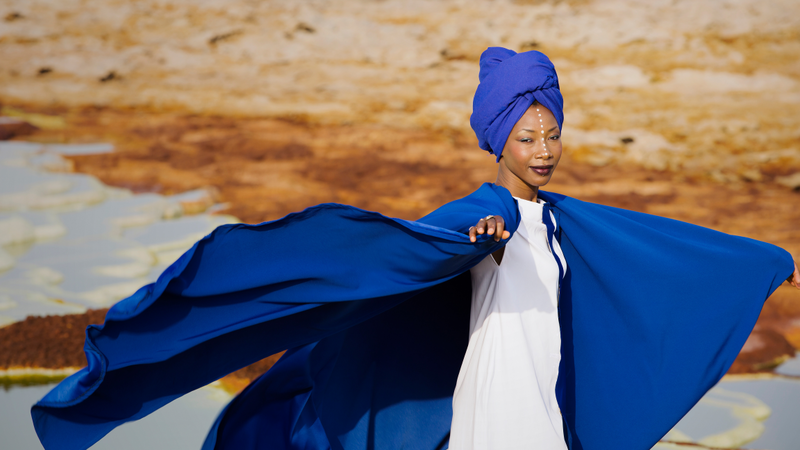 After 50 sold out concerts and a Victoire de la Musique award (World Music album 2018), the great voice of Fatoumata can continue her rise, spreading her own wings. A show presented by Les Productions Nuits d’Afrique à l’année.